Strengths: Ilya has developed into an elite NHL goaltender. He uses his size well, performs best when constantly faced with a high volume of shots, and has an unpredictable style of play that fools shooters. Weaknesses: Ilya can be prone to letting his guard down when not under pressure and can go through long stretches of average play. His playoff game has been inconsistent in recent years. Biography: Ilya Bryzgalov was born in Togliatti – a car-manufacturing town on the Volga that also raised Alexei Kovalev and Viktor Kozlov, among other hockey stars. 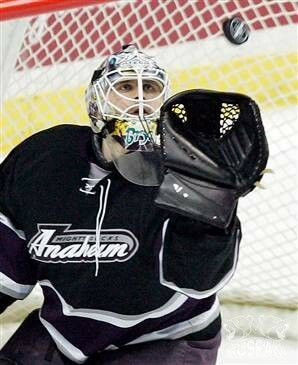 As a youth, Bryzgalov worked his way up the farm system of the Lada hockey club. Once he made the main team, he put up excellent numbers, earning the attention of NHL scouts. After being drafted by the Mighty Ducks, Ilya played one more year in the Russian Superleague and afterwards made the jump to North America. Bryzgalov was not high on the Mighty Ducks’ depth chart though, and he had to toil for four years in the American Hockey League for the Ducks’ farm club before becoming a permanent NHLer. When given the chance to start games, Bryzgalov took the opportunity and often played better than Anaheim’s #1 goalie, J.S. Giguere. 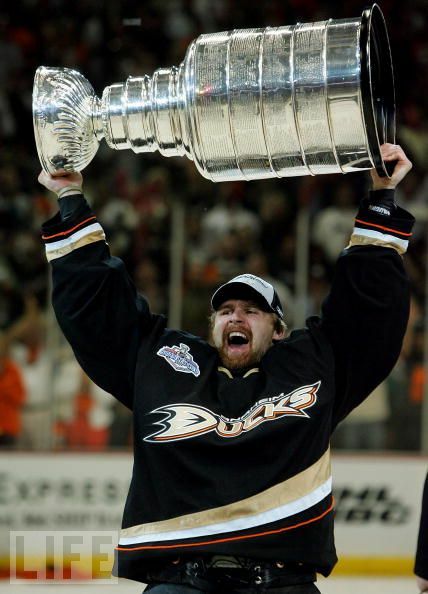 In 2006 Bryzgalov was crucial to the Ducks’ Stanley Cup-winning campaign. Early in the playoffs, he overtook Giguere as the starting goalie and helped the Ducks win the first three playoff rounds. In the process, Ilya recorded the second-longest shutout streak in NHL playoff history (249 minutes without letting in a goal). Due to a crowded goaltender situation in 2007, Ducks General Manager Brian Burke put Bryzgalov on waivers to give him the opportunity to be a full-time starter. The bottom-dwelling Phoenix Coyotes picked up Bryzgalov, beginning the team’s climb back to respectability. The 2009-10 season was monumental for both Ilya and the Coyotes, as the team set a franchise record for wins (50) and points (107), while Ilya set career highs in all statistical categories and was consequently nominated for the Vezina Trophy for best goaltender, as well as being named on the NHL’s Second All-Star Team. 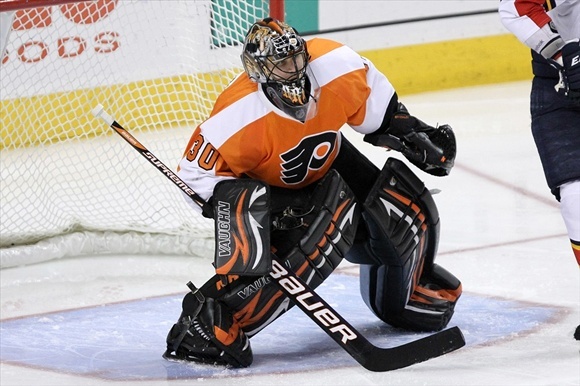 Despite another impressive season with the Coyotes, Bryz was traded to the Philadelphia Flyers and signed a contract through 2020. Ilya’s first season in such a passionate hockey city was timultuous. Not only did his colourful personality become nationally famous thanks to the HBO’s NHL 24/7 television series, but Ilya’s on-ice performances ranged from abysmal to heroic. After a rough first half of the season, Bryzgalov had an excellent February and March which saw him set the franchise record for longest consecutive shutout streak of 3 games. Then in the playoffs, Ilya’s average play was not enough to help the Flyers make it past the second round. For the duration of the 2012 NHL lockout, Bryzgalov signed with CSKA Moscow in Russia. In 2013, he signed with the Edmonton Oilers. Bryzgalov has extensive experience playing for Russia in international tournaments. He backstopped Russia to a silver medal at the 2000 World Junior Championship. That same year, he was on the disastrous team that finished 11th at the World Championship held in Russia. Ilya won the Olympic bronze medal as Russia’s third goalie in 2002. He was Russia’s starter at the 2004 World Cup and also played at the 2006 Olympics (where one poor game by Ilya was enough to be benched for the rest of the tournament by coach Vladimir Krikunov), the 2009 World Championship (where Bryz won all his games including the gold-medal final against Canada), and the 2010 Olympics (which Bryz began as a back-up to Evgeni Nabokov, but ended up outplaying him in the quarterfinal loss to Canada). Ilya is also one of the most candid personalities in the NHL, especially in interviews with the media, such as this infamous one.